In stock. Order in the next 13 hours, 38 minutes and it will go out today! 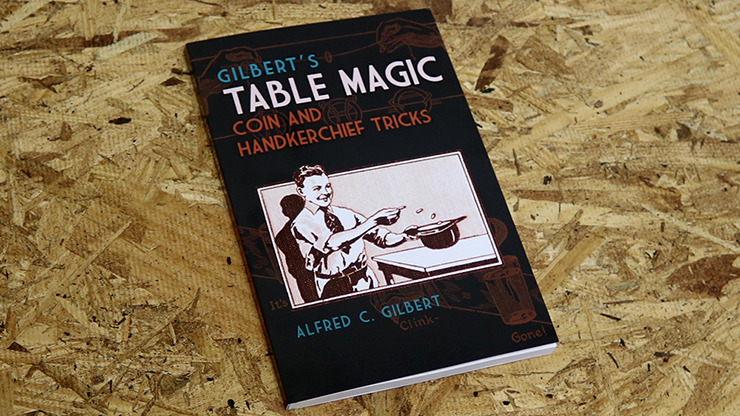 Gilbert's Table Magic is the single-volume edition of Gilbert Coin Tricks and Gilbert Handkerchief Magic, originally published nearly a century ago in 1920 by inventor and renowned toymaker Albert Carlton Gilbert (1884–1961). Make coins vanish and reappear, make handkerchiefs change colour, and make friends, family, and other audiences gasp with delight at your dazzling sleight-of-hand tricks. Now you can learn the secrets behind dozens of classic maneuvers from Alfred C. Gilbert, a manufacturer of magic kits. Geared toward young readers, Gilbert's Table Magic abounds in simple, clearly illustrated instructions that provide insights into ageless entertainments. The tricks are divided into two classes: sleight-of-hand tricks that call for patience, practice, and determination; and a series of tricks that require practically no skill and that anyone can quickly learn. A treasury of tricks for every style of aspiring magician, this book is ideal for both serious magic enthusiasts and more casual readers. The perfect gift for any budding magician, as well as an excellent addition to any magician's library.